Compatibility: Compatible with iPhone 4.7″ iPhone 8 (2017 Release). TPU+PC Structure: Complete Soft Frame & High-transparent Hard Back to offer multi-directional protection for iPhone. 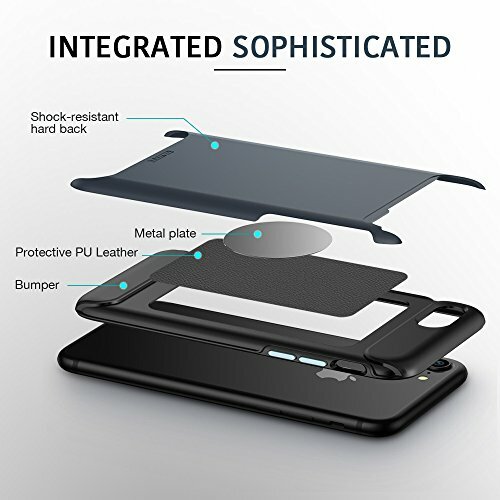 the 2H hardness back cover helps resist daily scratch. 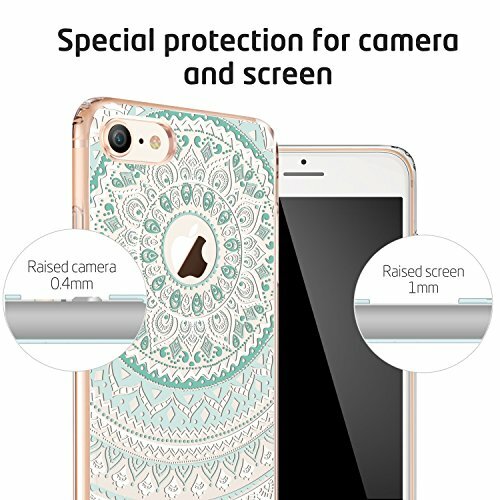 Screen & Camera Protection: 1mm higher than screen and 0.4mm higher than camera to offer the protection of your iPhone. Q1: Is it compatible with iPhone 8 (2017 Release)? A: Yes, it compatible with iPhone 8. Q9: Can I get replacement or full refund if the item doesn’t work well? A: Yes, replacement or money back if any happens to our products during the period of warranty. Lovely product fits well and looks well. 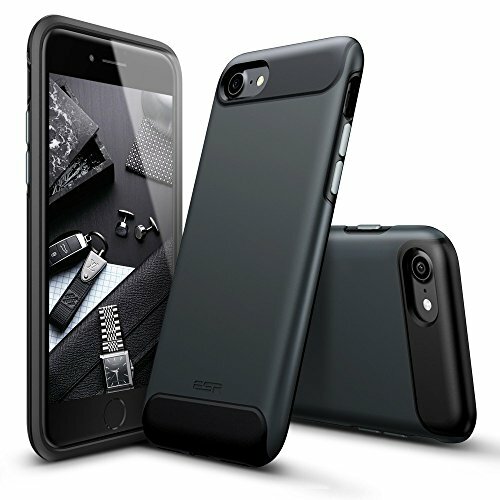 This case is affordable, solid, fits perfectly on the iPhone 8 (2017) and I recommend it! I especially like the solid plastic back . 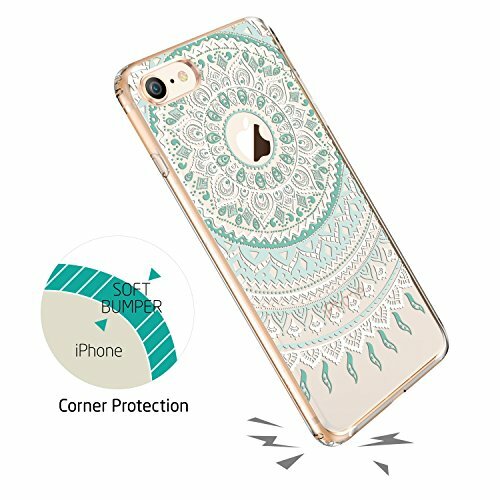 My last iPhone 8 cracked on the glass back but I feel this case will protect my new one better. And love that I can use it on my wireless charger! Doesn’t protect the face, only the sides and back. 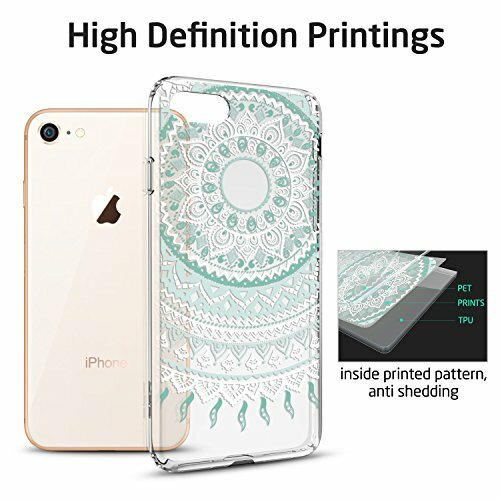 Had this case before on my old Iphone, rebought because I really liked it. Daughter loves this phone cover. She said that it really proctects her phone. Such a pretty design. Fits my iphone 8 perfect! Is enough raised to protect the camara and screen. Love it!